Rest of their bones, and souls’ delivery. 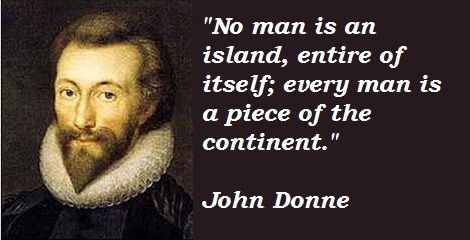 John Donne (/ˈdʌn/ dun) (between 24 January and 19 June 1572 – 31 March 1631) was an English poet, satirist, lawyer and a cleric in the Church of England. 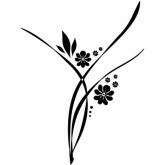 He is considered the pre-eminent representative of the metaphysical poets. 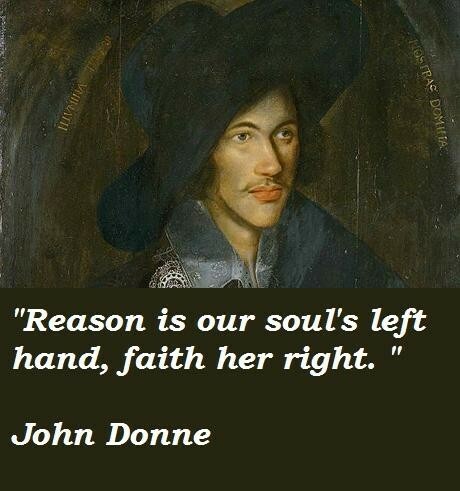 His works are noted for their strong, sensual style and include sonnets, love poetry, religious poems, Latin translations, epigrams, elegies, songs, satires and sermons. His poetry is noted for its vibrancy of language and inventiveness of metaphor, especially compared to that of his contemporaries. Donne’s style is characterised by abrupt openings and various paradoxes, ironies and dislocations. 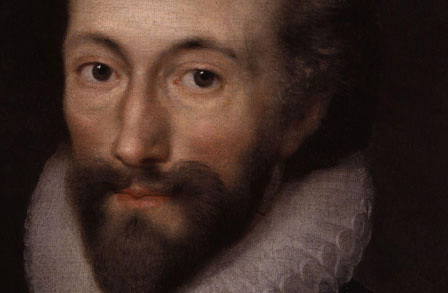 These features, along with his frequent dramatic or everyday speech rhythms, his tense syntax and his tough eloquence, were both a reaction against the smoothness of conventional Elizabethan poetry and an adaptation into English of European baroque and mannerist techniques. His early career was marked by poetry that bore immense knowledge of British society and he met that knowledge with sharp criticism.